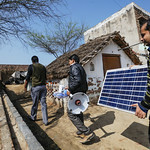 Simpa Networks provides simple, affordable and accessible solar energy to underserved consumers in India using a proprietary metering and payment system based on short messaging service (SMS) using mobile phones. The metering solution can be embedded in standalone products such as solar home systems (SHS) and can also be used by micro grid developers as a flexible metering, customer and revenue management solution. 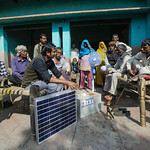 The investment will contribute to increased access to electricity in rural India. Although not being measured, increased access to electricity will result in improved education, health and productivity outcomes. Access to electricity enables children to study beyond sunset and replacement of smoky fuels such as kerosene with clean solar energy improves air quality, thereby improving respiratory health of household members. 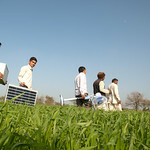 Access to electricity also improves productivity and contributes to increasing rural household incomes. Successful implementation of the project across India will offer opportunities for replication across DMCs. The investment is also expected to have a positive demonstration effect leading to increased private equity and venture capital funding for off grid energy services in India. Status of Development Objectives The project is currently under implementation. Status of Operation/Construction The project is currently under implementation. Linkage to Country/Regional Strategy Access to energy for all is an important pillar of ADB's Energy Policy. Maximizing access to energy for economic and social development under its Energy for All Initiative is part of ADB's inclusive growth strategy. The Energy for All Initiative aims to share knowledge and to identify and scale up successful models that will bring energy to the poor across Asia. On the regional level, the Energy for All Initiative is supporting a new regional partnership the Energy for All Partnership. Through the collective effort of partners, the Energy for All Partnership aims to extend access to energy to an additional 100 million people in Asia and the Pacific by 2015. The investment is also directly aligned with ADB's Asia Solar Energy Initiative, which aims to help develop, finance, and commission 3,000 megawatts (MW) of solar power generation capacity including off grid projects, in DMCs by May 2013. Environmental Aspects The Investment is classified as category C for impacts on the environment, involuntary resettlement, and indigenous peoples. The company's business activities have minimal or no adverse environmental impacts, and are unlikely to entail impacts on involuntary resettlement and indigenous peoples. Simpa Networks will ensure that investments using ADB funds abide by applicable national laws and regulations. 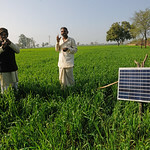 Flexible, prepaid metering makes solar power affordable in rural India. ADB is investing in this simple yet radical solution, which can be applied in other parts of the region.